So the emblematic film by Zach Braff, “Wish I Was Here” hits cinema screens across the nation today. The film raised around $3 million on Kickstarter in 2013 setting the pace for crowdfunding films. While not quite achieving the success of Veronica Mars, a film that raised over $5 million crowdfunding on Kickstarter, Braff’s project help validate crowdfunding as a new form of film finance. Well with the film opening today the reviews are rolling in. Both professional pundits and cinephile wannabe’s are sharing their thoughts and impressions on a film that was backed by over 46,000 contributors. Will the project backers be disappointed in the final results? Does it really matter? Do you care at all? Well here are some opinions on the film. Take them for what they are worth. Rotten Tomatoes: 32% rating (pretty rotten I would say). The audience liked it a bit better at 78% approval. “There’s no denying Wish I Was Here is heartfelt, but it covers narrative ground that’s already been well trod — particularly by director Zach Braff’s previous features”. NYDailyNews: If you were a producer on “Wish I Was Here,” you’d want to tell director Zach Braff to stop sticking to formula and go out on a limb… this traditional indie dramedy was partially funded by Kickstarter. So if you contributed, you may be a producer on it. If so, there’s no reason to be ashamed about how things turned out, but the movie does feel like it’s a bit too much. NYTimes: Until you partly surrender to its underlying good will and sincerity, watching “Wish I Was Here” is like observing an experiment in a cinematic test kitchen. The perky chefs are seeking an ideal blend of familiar flavors and textures as they devise what they hope will turn out to be a new, improved recipe for that old standby, Thoughtful Comic Entertainment. SFGate: Well, no matter how it was made, it’s the result that counts. “Wish I Was Here” is a funny, touching movie that features one of Kate Hudson’s best performances and a curmudgeonly good one from Mandy Patinkin. OregonLive: Braff will likely be known as the guy who took over $3.1 million in Kickstarter donations to help fund a painfully bad movie. It’s unfair, of course, to judge a film any differently because of the source of its funding. But if Braff had scrimped and saved, taken out a third mortgage and sold a kidney to pay for “Wish I Was Here,” the verdict would be the same. TheStar: Did his investors get their money’s worth? That depends on their tolerance for self-indulgent leanings from Braff… It’s also disjointed and uneven, seeming at times like the Kickstarter gang got to contribute one idea each in exchange for their donations, all of which were greenlit by Braff — with the proviso they all be about him. 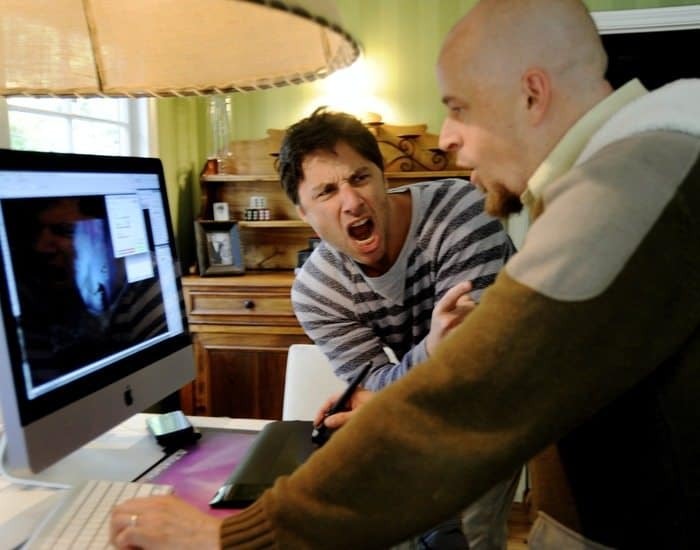 This entry was posted in General News, Offerings, Uncategorized and tagged film, kickstarter, wish i was here, zach braff. Bookmark the permalink.